Mother likely could have been prosecuted, but she is elderly and has health problems. Normally, the Government will prosecute only the beneficial owner (here, allegedly Mother), rather than a signatory (here, allegedly Seibel with no beneficial interest). As noted above, the Government may have believed that, at some point, Seibel was the beneficial owner because it alleged that in 2008 and 2009 he failed to report account income. It is not clear that that was finally disclosed, but it certainly appeared that by the time of the withdrawal, he exercised ownership for the portion not deposited into the Mirza account at Bank Safra, and Mother had no apparent relationship to the Bank Safra account or with Mirza. Of course, she could still have been the beneficial owner, but the facts are just not clear on that point, even though they point to Seibel's potential beneficial ownership. So, by plea agreement, the information charged one count of tax obstruction, § 7212(a). The parties skirmished in their sentencing submissions over what would be an appropriate sentence. I provide links to those submissions above. The expected arguments are there. Seibel argues for no sentence based upon the lenient sentencing offered other at least some other persons that the Government has prosecuted for offshore account tax misbehavior. You can read those arguments, but the usual suspects are there, including the Ty Warner sentencing requiring no jail time. And, of course, it is true that sentencing for offshore account misbehavior has been notoriously lenient relative to the Sentencing Guidelines ranges. 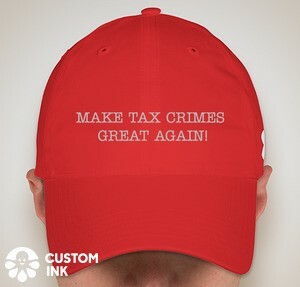 The Government made the arguments one would expect on these facts, plus the general consideration reflected in the Sentencing Guidelines that tax crimes are serious and given limited prosecutions need to draw significant punishment for deterrence purposes. It is all there. Good attorneys on both sides pleading their cases. At sentencing hearing, as noted in Drucker's excellent article, Seibel did the usual mea culpa, expressing remorse and crying. (All good lawyers encourage clients to do some variation of that, with the thought / hope that the judge will find the defendant credible on that issue (no crocodile tears and obfuscations) even if the conduct for which he pled guilty involved conduct in which he was not truthful or sorrowful until caught and brought to justice.) The judge apparently believed some of that because he sentenced the defendant on the behavior above to one month in prison and 300 community service hours. This whole scenario is ripe with a lot of unanswered questions. Here are my comments, interspersed with some questions. 2. The plea agreement was not filed. I am told that, whether the plea agreement is filed depends upon the practices of the particular district. In SDNY, I am told, plea agreements are not filed but are available as an unfiled exhibit at the plea hearing. I am told that they are public documents. I am not sure exactly how to get a copy. Does anyone know whether a simple request to the prosecutor will obtain the plea agreement? 3. The attorney says in the affidavit (par. 20) that "Although I was informed by the UBS employee that Yvette [Mother] closed the account sometime in 2008 and transferred the funds to another bank, I did not include this information in the voluntary disclosure because the relevant period for the 2009 voluntary disclosure was 2003-2008." Strange. First, he says nothing about his knowledge as to when the new bank account was established. I think that happened in 2008 (see the contact record, Exhibit C to Government submission, at p. 43 of the pdf showing the UBS closing date at least by August 2008), so it was relevant to what he had to say and should have said about 2008. Of course, the attorney does not say what he knew about the Bank Safra account opening in 2008 -- a glaring omission. Second, if the attorney received the information from UBS about who closed the account, it would have been that Seibel closed the account. See Exhibit B to the Government's submission (p. 42 of the pdf), which is the UBS contact records stating the the client came in to close the account and the account is a he.) So why does the attorney say that the UBS employee told him that Mother closed the account. In this regard, presumably, Mother could have closed the account pursuant to her power of attorney, but Mother did not close the account and UBS's records show that Seibel rather than Mother closed the account, so to think that a UBS employee would have said that Mother closed the account is questionable. Still, that could be a swearing match between the UBS employee (unnamed) and the attorney as to what precisely was said. The attorney thinking that it was her beneficially owned account may have heard that she closed it, although that might not have been what the UBS employee said (e.g., could have said the account owner (which UBS records indicate was Seibel) closed the account, which attorney could have heard as Mother, the beneficial owner, closed the account). Who knows? 4. Seibel's claim that he never read the submission he made to the IRS is curious. The attorney is a very good attorney and good attorneys usually require or insist that clients read the document. One speculation might be that Seibel read the drafts or the draft finally agreed upon and therefore had no reason to read the final for submission. That possibility is not answered. Note that the attorney's affidavit does not say that Seibel did not read the drafts. And, the Defendant's final submission, although attesting adamantly that Seibel did not read the submission, makes no such representation that Seibel did not read the drafts. 5. Seibel makes a big deal of having been subject to the FBAR penalty. Yet, if Mother were the beneficial owner of the accounts, the incidence of the FBAR penalty should have fallen on her. Generally, the IRS does not assert the FBAR penalty from non-beneficial owners (like power of attorneys or even title owners who are merely accommodating the beneficial owners as Seibel claimed). So, I assume that they could have had Mother pay the penalty, but if Mother could not pay by that time, the Government would want to collect at least one penalty and thus may impose it upon a non-beneficial owner. Or, Seibel may have jockeyed his payment of the penalty so that he could use that to mitigate a sentence (courts have used the payment of the penalty as a mitigating factor). But that is just speculation and it is not clear from what I have seen why Seibel paid the penalty that, logically, Mother owed if she were the beneficial owner. 6. One question is how the IRS special agent trying to contact Mother in 2009 actually went to her rather than Seibel. Had the Government gotten the Swiss bank documents in 2009 in the initial UBS disclosures, Seibel would have been the indicated beneficial account owner. So why would the IRS special agent have gone first to Mother? Perhaps, and this is speculation, they got the information from Birkenfeld and Birkenfeld knew who the original beneficial owner was. 7. Drucker's article says: "Still, he [Pauley] said he was lowering the sentence because of evidence that Seibel’s mother and her lawyer played a role in setting up the account and filing the amnesty claim with the government." I did not pick up from my reading that the lawyer (referred to above as attorney) played any part in setting up the account. Perhaps that was disclosed at the sentencing, but that would add an entirely new wrinkle. I have an email in to Drucker on this issue and will try to track it down, but if anyone knows the answer please post it as a comment or email me. 8. Drucker says that the Seibel case is "the trailing end of a wave of prosecutions of Americans accused of hiding money in Switzerland." I am not sure that is the case, unless the trailing wave might be some type of tsunami. Under the US DOJ Swiss Bank Program, the Swiss Banks have given up a lot of information about U.S. persons. Of course, U.S. persons should have known that was coming and joined the appropriate voluntary disclosure initiative -- for those with prosecutable potential that would be the current version of OVDP. But there will be a significant number who did not come in. So the Government is likely going to be able to prosecute a number of those. And, some of those who have joined the OVDP or the Streamlined Procedures may have not been truthful in their submissions and can be prosecuted based on the new information (whether from the Swiss Bank Program or otherwise). I don't know that the wave will be as high as the earlier wave in the 2009-2013 years, but it could be high. There is more but I will quit for now. Comments will be appreciated.